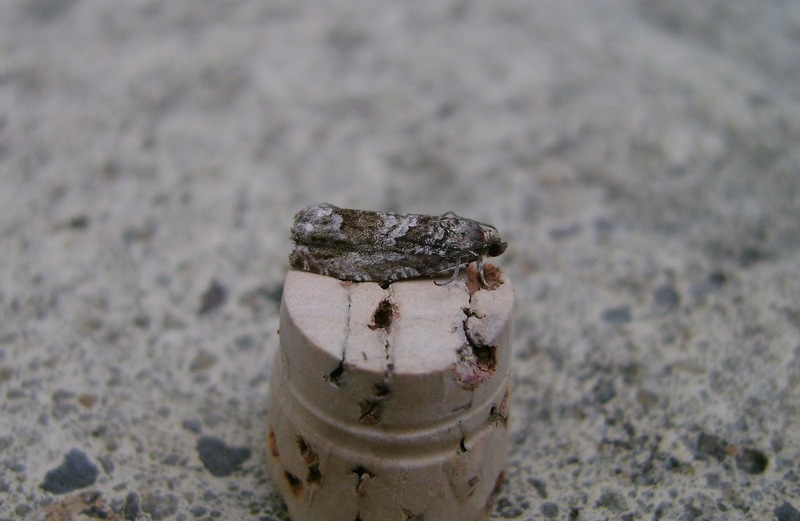 Carmarthenshire Moth and Butterfly Group: Update from the south-east...part 1. Update from the south-east...part 1. Above: Rhodophaea formosa - one of my Pwll garden specialities which I catch most years. It is not known from elsewhere in the county but ought to occur at other coastal sites where (non-wych) elms grow; the Llansteffan area is a contender. 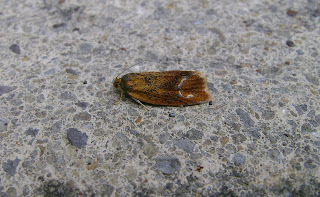 Above: I think that this is the beech-feeding Cydia fagilandana, a tort that I`ve not had before. 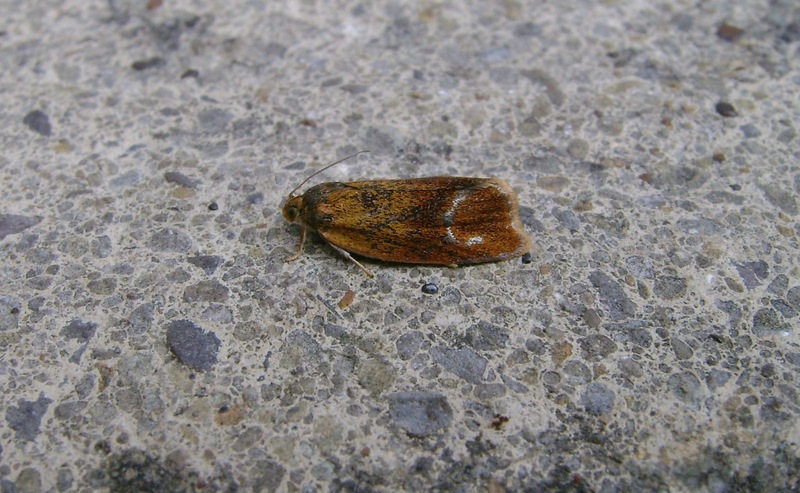 The nearest stands of beech grow some distance away, showing that moths were certainly dispersing in the perfect conditions of Sunday night. 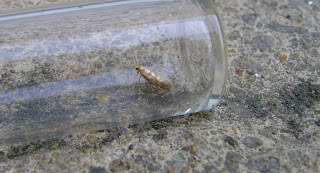 Above: a terrible shot of Argyresthia cupressella. I had this moth new to Carms last year, again in my garden. 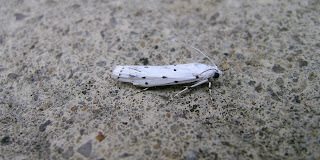 Above: not rare, but an attractive moth - thistle ermine Myelois circumvoluta. Above: another `good-looker` - Ptycholoma leacheana. 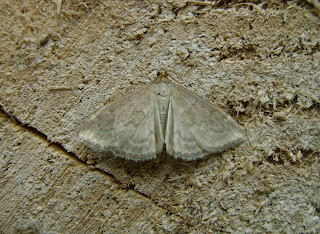 Another common species that is often seen by day - Anania fuscalis. 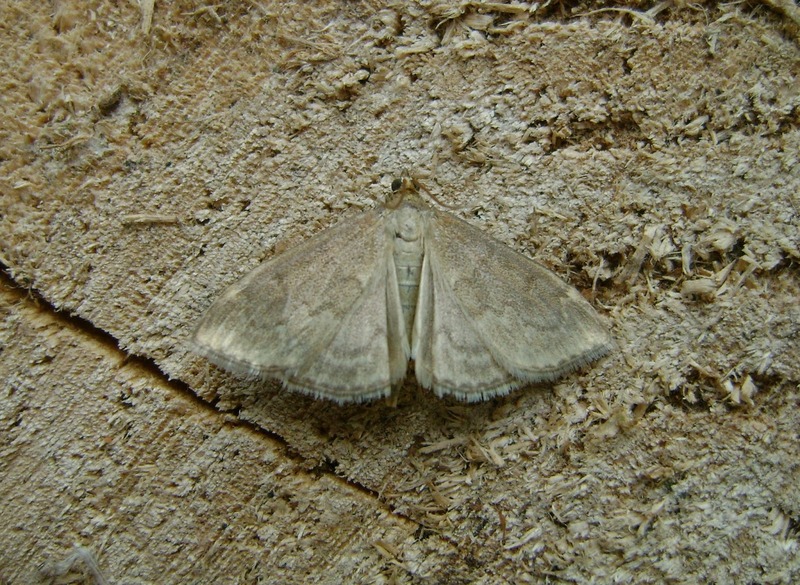 When I saw this individual in my unawakened brain hour of c 4.30am, I noticed the pearlescent sheen on the wings (not visible in this photo) and immediately thought `Anania perculidalis!` but upon checking the moth in the book, it was only fuscalis. Those all look good to me Ian. I'll have to try and catch up with that lovely pyralid some day. A cupressella is increasing in Cardiff, I've had 5-6 in the trap on recent nights. I`ve had `multiples` too recently.